Style Source Magazine | Rusk Sensories Healthy Blackberry and Bergamont Strengthening Shampoo 13.5 oz. Home /	Solutions / Damaged/Split Ends / Rusk Sensories Healthy Blackberry and Bergamont Strengthening Shampoo 13.5 oz. 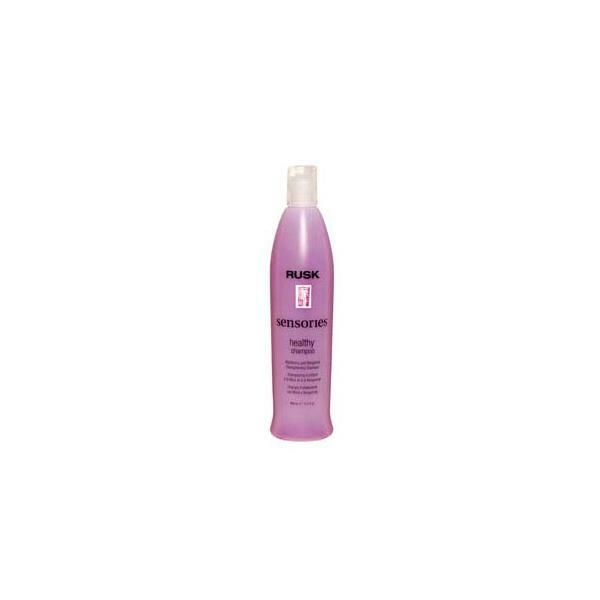 Rusk Sensories Healthy Blackberry and Bergamont Strengthening Shampoo 13.5 oz. Awakes the senses as it gently cleanses weak, stressed hair. Healthy products are a 3-step regimen containing a hair-strengthening complex that, with repeated use, can improve the strength of weak or damaged hair. These products penetrate the cortex, moisturizing and fortifying from within while protecting the outer cuticle layer. They leave hair soft, supple and manageable while adding shine and luster and eliminating flyaways. Helps to restore hair?s strength, health and vitality. 13.5 oz. What is it? A shampoo for weak, stressed-out hair that lacks shine and luster. Who is it for? Anyone with stressed-out hair. Hair may or may not be chemically treated. What does it do? Cleanses weak, stressed hair. Can improve the strength of weak, damaged hair with repeated use. Leaves hair soft, supple and manageable while adding shine and luster. Eliminates flyaways. How do you use it? Wet hair and massage thoroughly. Rinse. Repeat if desired. Rusk Sensories Healthy Blackberry and Bergamont Strengthening Conditioner 8.5 oz.